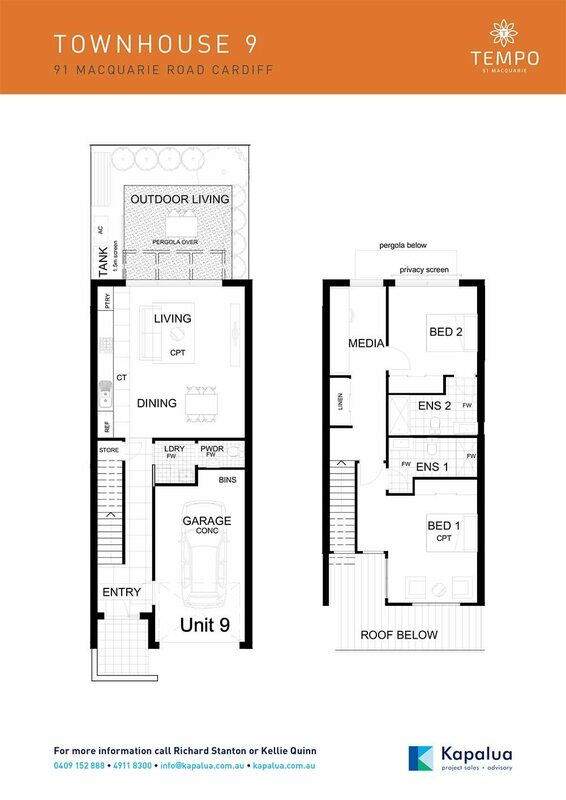 Tempo on Macquarie delivers the ultimate in functional, modern living in the heart of vibrant Cardiff. 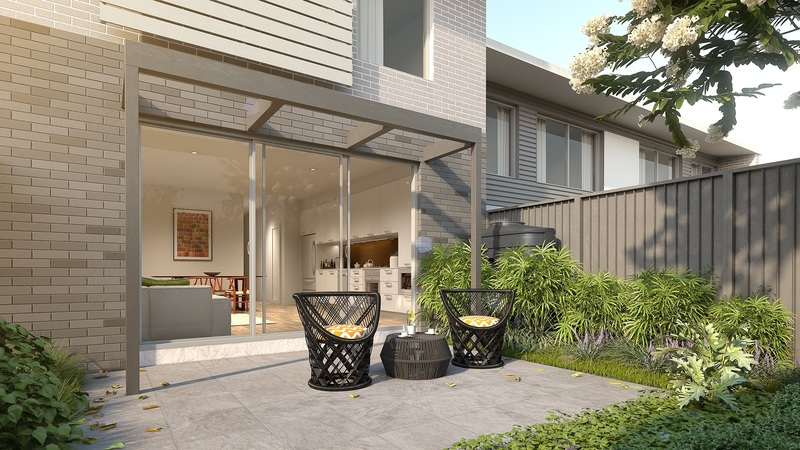 This boutique development of only 12 architect designed, two bedroom townhouses, provide homeowners unrivalled quality and unbeatable functionality. Each bedroom boasts an ensuite and media space — the sleek New York style kitchen sets the tone for urban, lux living in fashionable Cardiff. Offering a choice of modern and practical floor plans, this high-end development is guaranteed to satisfy your lifestyle needs. 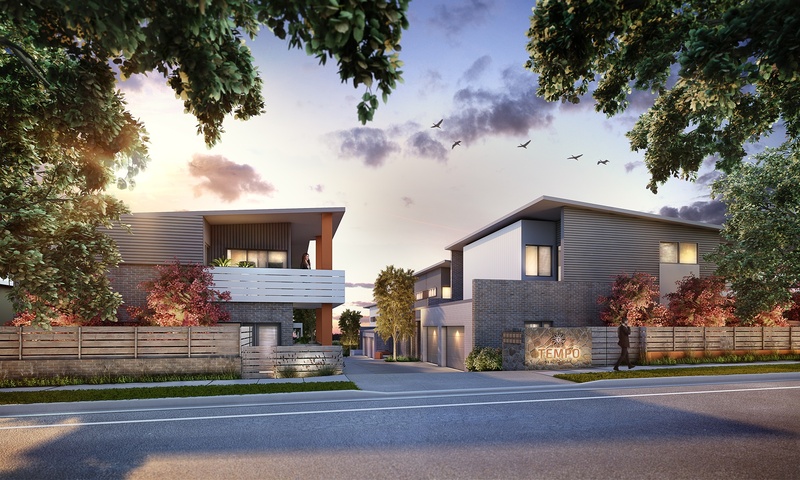 This boutique development of only 12 architect designed townhouses offered unrivalled quality and the ultimate in functional living space. Enjoy the convenience of popular shopping centres, services, entertainment, schools, restaurants, cafés and public transport all nearby. Position perfect, Tempo on Macquarie is just a short drive from stunning Lake Macquarie and the best of Newcastle beaches. 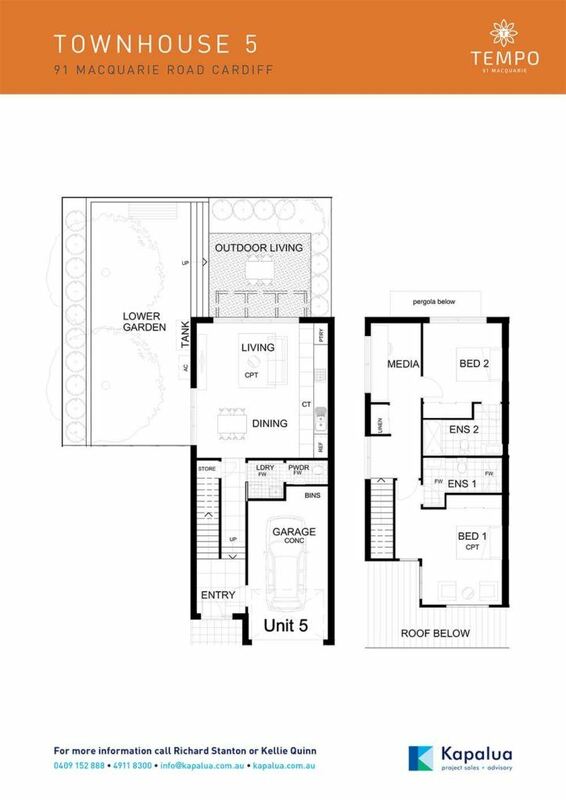 Townhouse 1 features 2 bedrooms, additional media space plus two-way main bathroom and downstairs powder room . 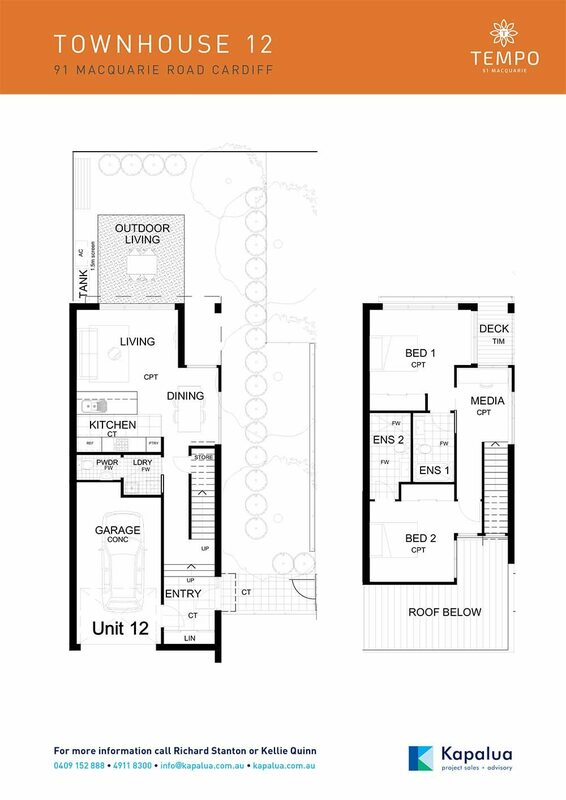 Townhouse 12 features 2 bedrooms, additional media space plus main bathroom, ensuite and downstairs powder room . 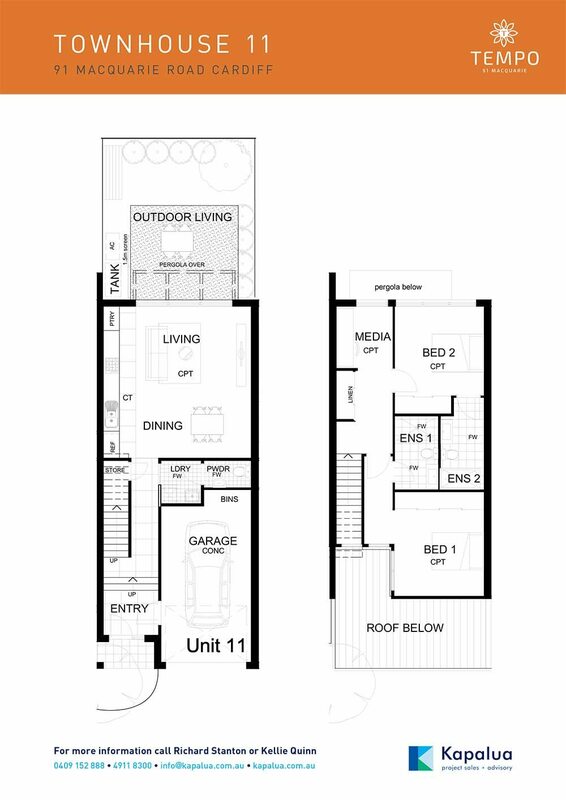 Townhouse 11 features 2 bedrooms, additional media space plus main bathroom, ensuite and downstairs powder room . 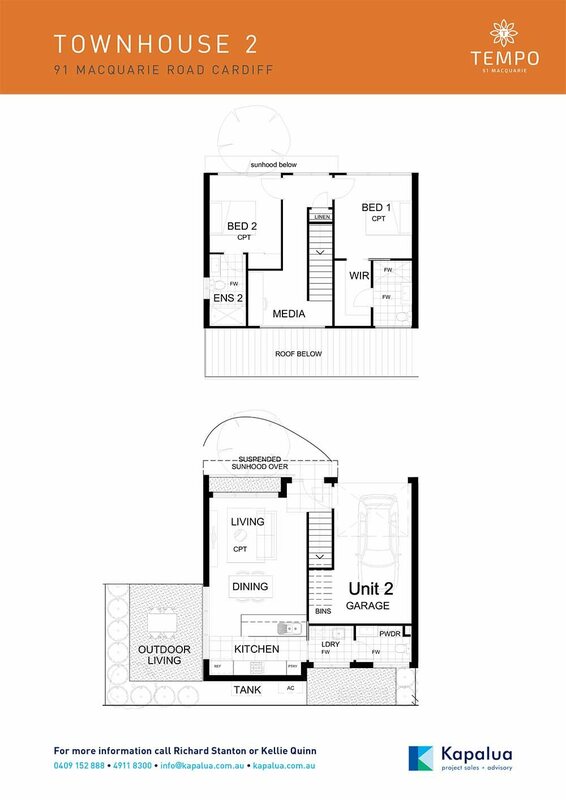 Townhouse 2 features 2 bedrooms, additional media space plus main bathroom, ensuite and downstairs powder room . Townhouse 9 features 2 bedrooms each with their own ensuite plus additional media space and downstairs powder room . 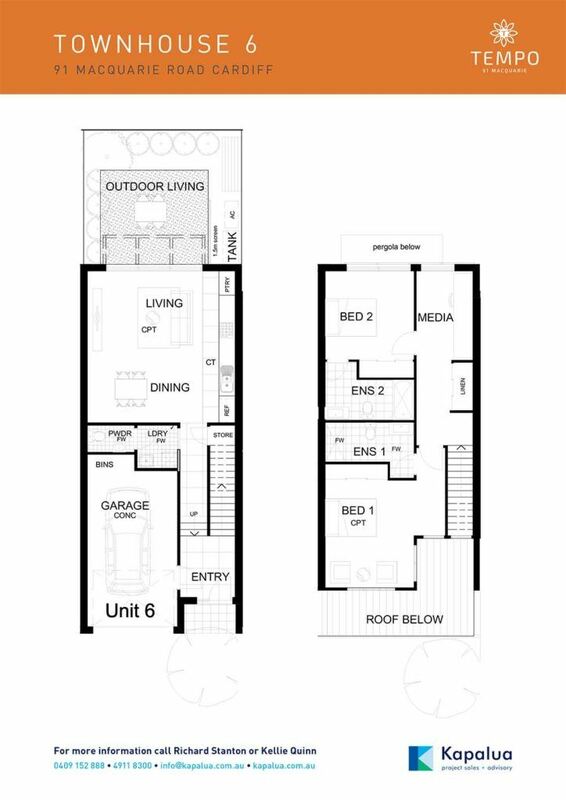 Townhouse 5 features 2 bedrooms each with their own ensuite plus additional media space and downstairs powder room . 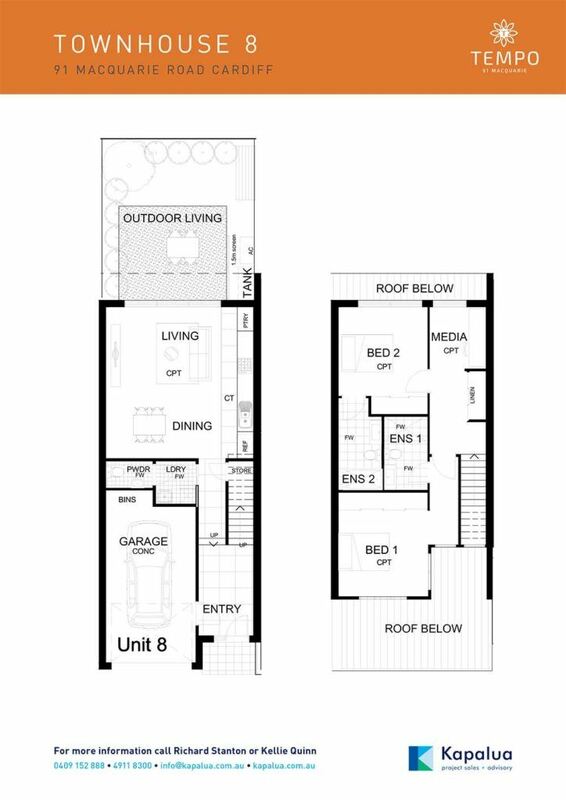 Townhouse 8 features 2 bedrooms each with their own ensuite plus additional media space and downstairs powder room . 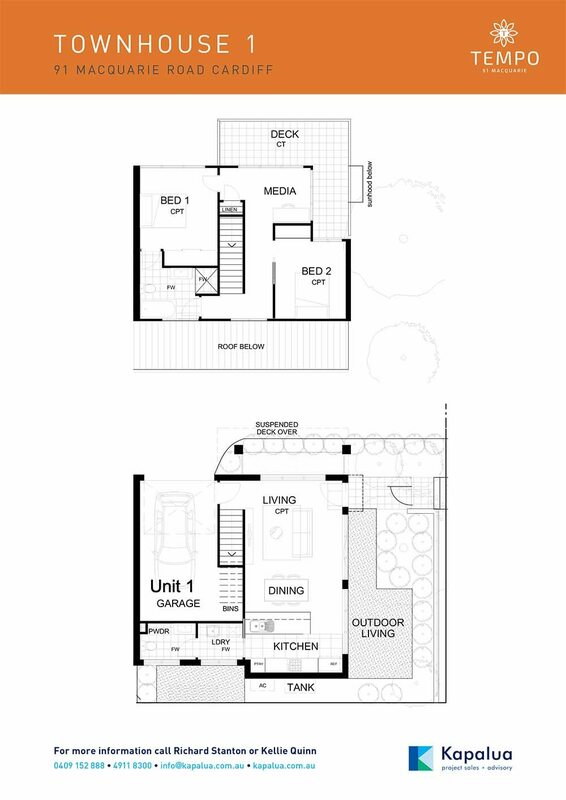 Townhouse 6 features 2 bedrooms each with their own ensuite plus additional media space and downstairs powder room .